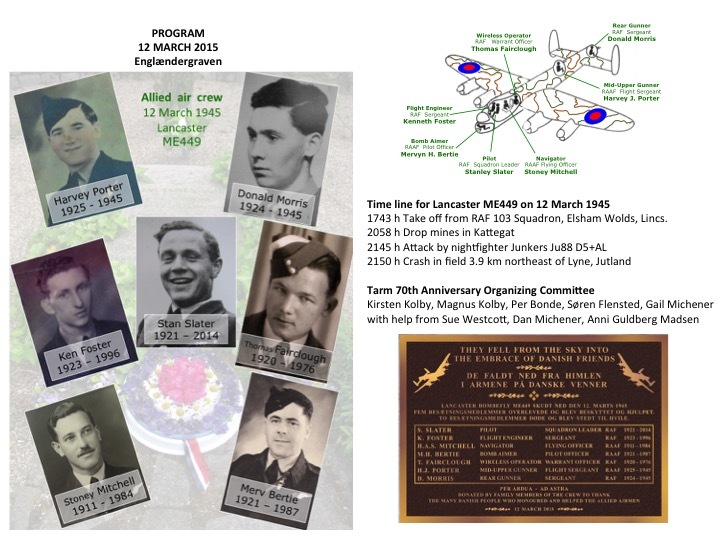 On Thursday 12 March 2015, commemoration events were held in Tarm, western Jutland, Denmark to mark the 70th anniversary of the shooting down of Lancaster ME449 on 12 March 1945. 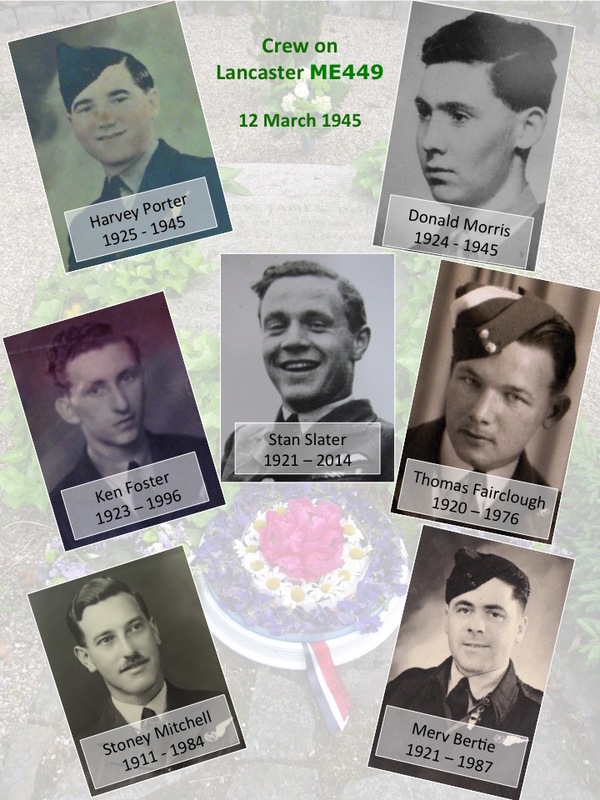 The events honoured the two gunners who died, remembered all the crew, and recognized the assistance of Danish civilians and Resistance members in retrieving the two bodies and helping the five surviving crewmen to evade to safety. The graveside Ceremony at Englændergraven (corner of Ådumvej and Østermarksvej, Tarm) began at 1300h. View the program below. 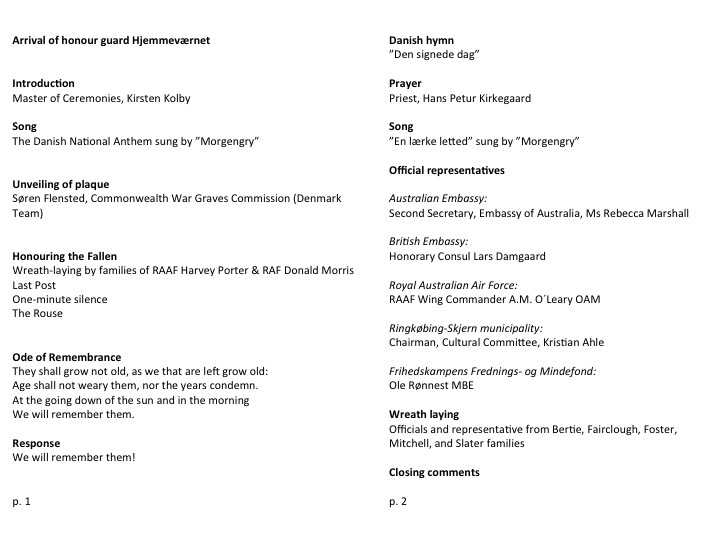 Dignitaries and guests included representatives of the British and Australian governments, Commonwealth War Graves Commission, Danish Resistance, Ringkøbing-Skjern Kommune, Tarm Kirke, and family members of the Allied airmen who were aboard the Lancaster bomber on 12 March 1945. Events at the graveside included unveiling of a plaque, laying of wreaths by family members at the grave stones for Morris and Porter, speeches and wreath laying by dignitaries, laying of wreaths at the central memorial stone by family members of the surviving crew, and laying of bouquets by the general public. Official speeches were given on behalf of the Australian government, the British Government, and the local municipality. 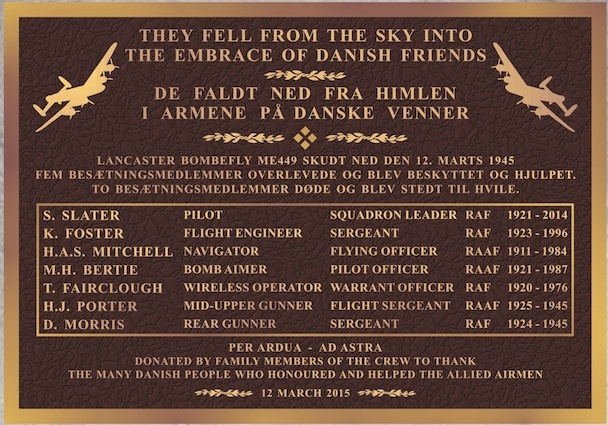 Plaque unveiled at Englændergraven on 12 March 2015. See 70th Ceremony for the order of events and images from the graveside ceremony. See the news item on TV MidtVest covering highlights of the ceremony at Englændergraven. The Ceremony at the grave site was followed by a Reception at Bechs Hotel in Tarm at which Invited Speeches were given by family members of the air crew and by Danish eye witnesses of events in 1945, and Contributed Speeches were given by Danish historians.